You might ponder ~ ~ ~ is grasshopper edible? Why do I need to include it in my diet? How can I eat this hopping insect?How can a little creature that normally produce chirping noise while hopping around the garden be part of my diet? No not for me! I've never and will never eat this type of creature! Well, what if there are no other options like meat, fish, birds, crustaceans and seafood etc? What if it had been part of your diet right from the onset of your journey on this planet earth? What if it is part of your basic requirement for therapeutic purposes? Well, I leave you to proffer answers to these key questions. I personally do not query anyone on this subject because the idea of making insect a part of our diets is pretty tough to accept. Simply put, grasshopper is safe to eat, nutritious, healthy and delicious! It is also considered a suitable alternative to chicken, beef, meat, birds, fish and other seafood. As part of The Telegraph documentary captioned "Eat more insects, scientists say", Tibbetts pointed out that grasshopper is beneficial to health and should be encouraged in our diets. Besides, even the holy Bible recorded it that John the Baptist ate locust and honey while in the wilderness. Now, another concern is the difference between grasshopper and locust. Basically, the both are just the same! 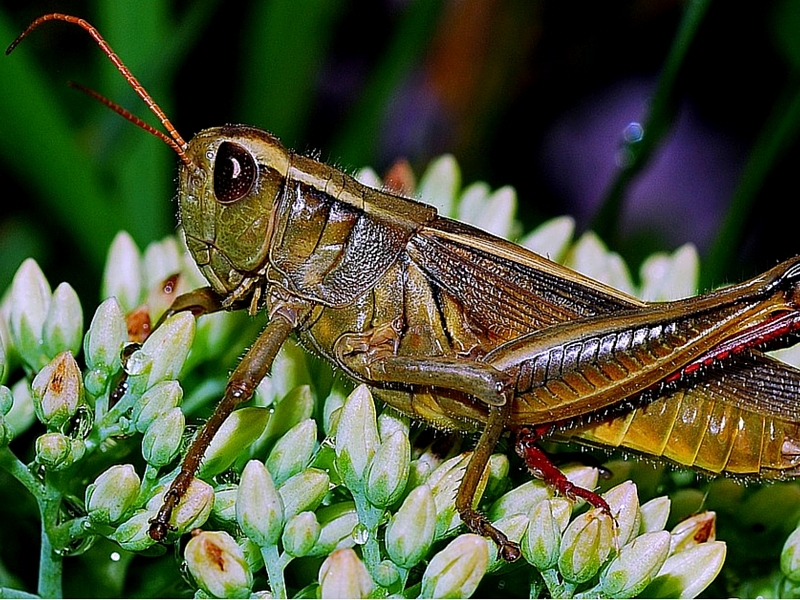 Locust is just a short-horned type of grasshopper that usually moves in or forms a swarm. Biblically, we are permitted to eat insects such as grasshopper, locusts, crickets, katydid, beetle as recorded in Leviticus 11:22. Grasshopper is an important staple delicacy in Africa, Asia, Australia and South America. Despite the awareness of the importance of this amazing creature as a healthy alternative for food supply, many people are still oblivious of this. This shouldn’t be the case because grasshoppers are rich in numerous essential vitamins and minerals such as protein, serve as a healthy alternative to conventional meat and also suitable for medicinal purposes. Grasshopper belongs to the order of Orthoptera and suborder Caelifera. It is distinguished by its strong hind legs that allow it to easily escape from predators such as birds, animals and spiders. Interestingly, it tends to camouflage as soon it sights predators in other to protect itself. This insect is hemimetabolous in nature being that it has no pupal stage while transiting from larva to adult. It also thrives mainly in the temperate regions of the world. 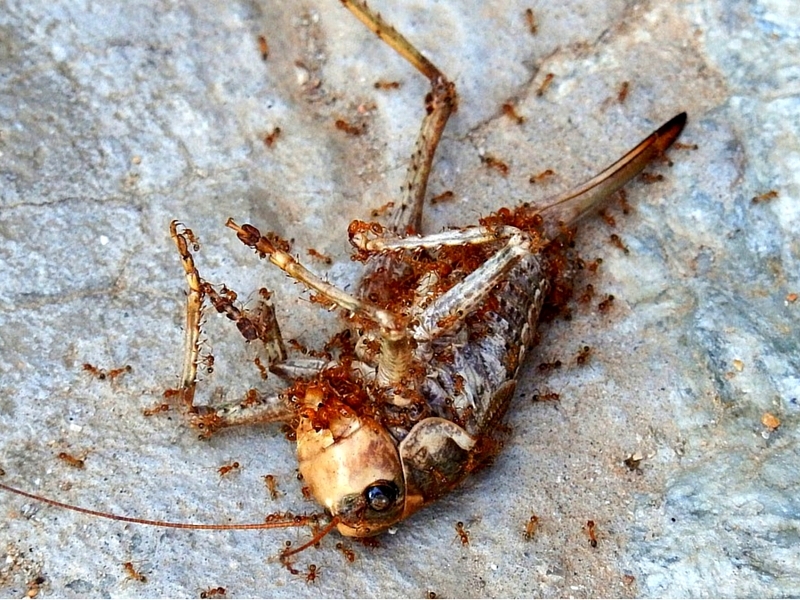 Some species of grasshopper are high in population, that they tend to form a swarm such as locust. This insect is cold-blooded in nature thus it is best gathered under cool temperature when it is still immobile. It usually dwells in the ground and tends to emerge from the eggs that are deep buried in the soil. Grasshopper feeds mainly on plants, vegetables, cereals and crops etc. Grasshopper has three main body segments of a head, thorax and abdomen. The head bears a pair of compound eyes, three simple eyes and a pair of antennae that are sensitive to the environment. The thorax and abdomen bear a rigid cuticle that comprises of overlapping plates made up of chitin. The thoracic segments bear 3 pairs of legs and 2 pairs of wings. The abdomen is made up of 11 segments while the legs are surrounded by claws for holding firm to anything. Male grasshoppers are usually smaller than the female ones that have short chisel-like ovipositors. The male species usually produce loud chirping sounds to attract females. 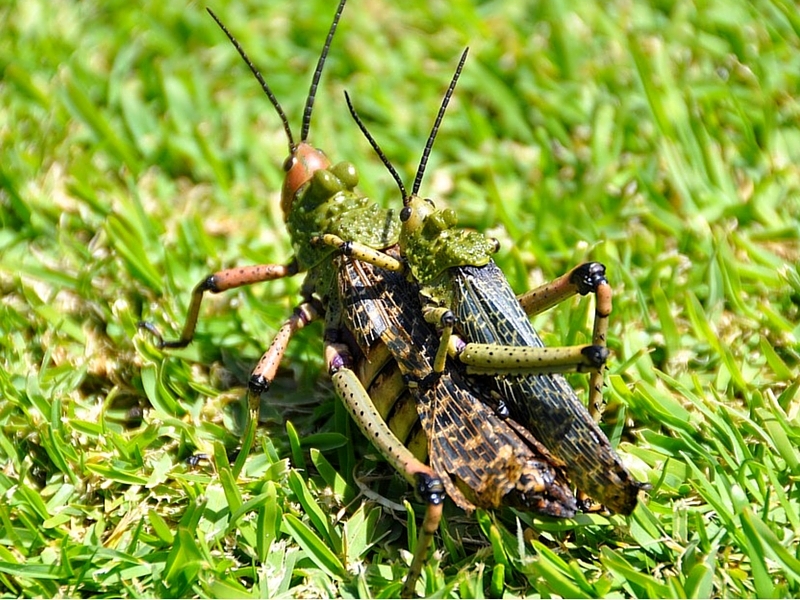 There are different species of grasshopper, for example, brown-spotted range grasshopper, club-horned grasshoppers, Oxya hyla hyla and velvet-striped grasshoppers, sage grasshopper, grass-green grasshopper, kiowa grasshopper, obscure bird grasshopper, fuzzy olive-green grasshopper, orange-legged grasshopper, short-winged toothpick grasshopper, Carolina grasshopper, American grasshopper, Chinese rice grasshopper, harris sprinkled grasshopper, Locusta sp, migratory grasshopper, Kraussaria sp., Anacridium sp., Nomadacris septemfasciata, Cataloipus sp., Hieroglyphycus sp., narrow-winged spur-throat, striped grasshopper, Katantop sp., largehead grasshopper, Gelestorhinus sp., keeler grasshopper, packard grasshopper, but the most common one is locust. Locust is a short-horned swarming species of grasshopper that belongs to the family of Acrididae. Short-horned cricket can be easily distinguished from katydid or bush cricket that are characterised by long antennae. Grasshopper secretes a high level of serotonin that causes it to behave in certain ways, change colour and breed faster. It produces several wingless nymphs that later turn to swarms of winged adults. Swarms of locusts are usually a threat to crops thereby contributing to famines and short supply of food. Grasshoppers are often referred to as crickets (Ensifera) of the sub-order of Orthoptera, however, they have several differences especially in terms of the structure of their ovipositor, the segments in their antennae, the way they produce their sounds and the location of their tympana. Grasshoppers are distinguished from most insects because they have incomplete metamorphosis and undergo ecdysis. Insect's ecdysis is the process of casting off the outer cuticle of insects and other arthropods. Male grasshopper usually produces a chirping sound in other to attract the females. Female grasshoppers identify conducive egg-laying sites for example; close to plant roots or soil. During the ovipositing process, the males usually come around the females. Once the eggs have been laid, the female covers the spot with waste matters and soil. The females normally lay their eggs in pods that can be glued together with a froth. The eggs undergo development within a couple of weeks before going into diapause. Once the eggs are ready to hatch, all the embryos in the pod then hatch out within a couple of minutes after each other. Afterwards, their membranes are shed while the exoskeletons become hard. The initial instar nymphs at this stage can easily jump away from potential predators. Kinyuru et al., (2011) assessed the nutritional ability of green and brown coloured grasshoppers as an alternative for combating nutritional deficiencies. 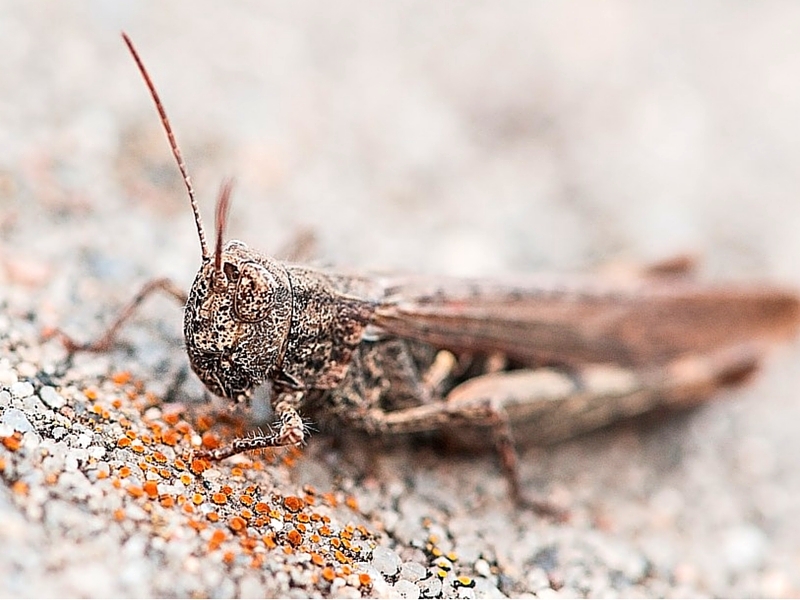 The study showed that the selected grasshoppers contain 37.1% and 35.3% protein, 48.2% and 46.2% fat, 2.8% and 2.6% ash, 3.9% and 4.9% dietary fibre for the green and brown grasshoppers respectively. These grasshoppers also contain macro and trace minerals such as; phosphorus (P) 140.9 mg/100g and 121.0 mg/100g, potassium (K) of 370.6 mg/100g and 259.7 mg/100g, calcium (Ca) of 27.4 mg/100g and 24.5 mg/100g, iron (Fe) of 16.6 mg/100g and 13.0 mg/100g, zinc of 17.3 mg/100g and 12.4 mg/100g in the green and brown grasshopper respectively. They also exhibited a retinol concentration of 2.1 μg/g and 2.8 μg/g, riboflavin 1.2 mg/100g and 1.4 mg/100g, α-tocopherol 201.0 μg/g and 152.0 μg/g and niacin 2.1 mg/100g and 2.4 mg/100g for the green and brown grasshopper respectively. 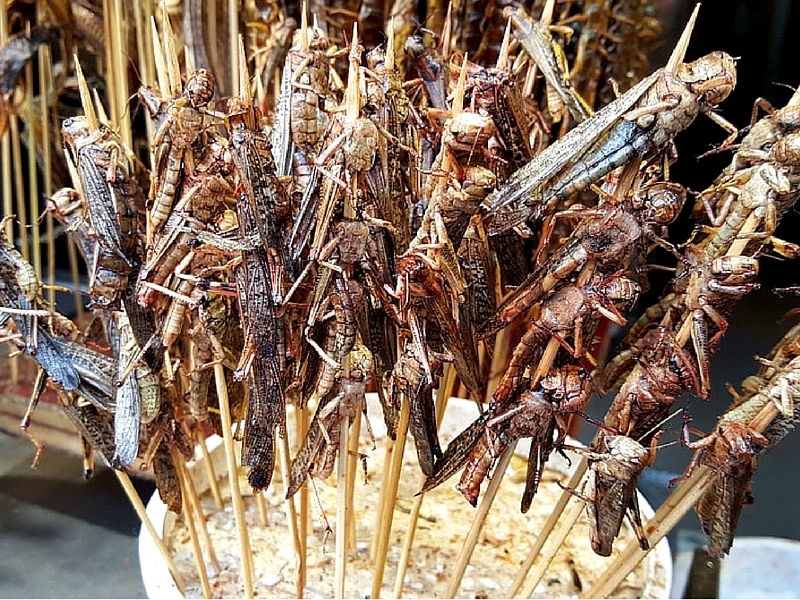 The lipid analysis showed that the grasshoppers’ oil contains high quantities of polyunsaturated fatty acids, 89.4% and 84.3% neutral lipids, glycolipids 3.2% and 6.4%, 7.4% and 9.3% phospholipids, for green and brown grasshopper respectively. Furthermore, Ghosh et al., (2016) evaluated the nutrients quality in Oxya hyla hyla grasshopper species. The results showed that this species consists of 64% protein, minerals, vitamins, carbohydrate, amino acids and unsaturated fatty acids. They also reported that this grasshopper is low in antinutritional factors and contains negligible amounts of cholesterol and other fats. These findings support that grasshopper is an excellent source of essential minerals, vitamins and nutrients that are essential for the healthy functioning of the body. This further suggests that this edible insect is suitable for tackling nutritional deficiencies that are increasingly becoming a global concern. Grasshoppers are edible, nutritious, delicious, healthy and safe to consume, thus can serve as food. But always endeavour to cook them properly first before consumption. Cooking the grasshoppers properly before consumption helps to destroy any parasite present. To prepare grasshoppers for cooking, always endeavour to remove the legs, wings and excreta first. Different countries use grasshopper for preparing assorted cuisines such as; cornmeal pudding with grasshoppers, grasshopper tortillas with chilli sauce, skewered grasshoppers, kebab grasshoppers, silkworm and grasshopper bug kebab, roasted grasshoppers, deep-fried grasshoppers, walang goreng, roasted chapulínes, boiled grasshopper, sun-dried grasshoppers and cooked grasshopper. Treatment of Kidney Diseases DeConconi and Moreno (1988) report that the hind legs of grasshoppers can be crushed and mixed with water. This concoction can be consumed as a powerful diuretic for treating kidney diseases. Treatment of Gastrointestinal Diseases Some countries use grasshoppers for treating certain intestinal disorders such as stomach ache and dysentery. Livestock and Fish Feeds There has been an increased demand for livestock and animal feed. Interestingly, due to the rich nutrient constituents of a grasshopper, it can serve as a nutritious feed for animals and fish. It can also be used as a fish bait for capturing fishes. Ghosh et al., (2016) study supports the idea of using grasshopper as an alternative protein-rich feed for feeding livestock and fish. They agreed that since the short-horned grasshopper species O. hyla hyla is rich in carbohydrate, protein, fatty acids, amino acids, fat and low in antinutritional factors, then it is suitable for use as a protein-rich feed supplement in fish and animal diets. Suitable for Artworks Grasshoppers are suitable for artworks, paintings, designs and decorations of buildings. Grasshoppers significantly support the ecosystem thereby making our environment safer and comfortable for animals and plants to thrive. They feed on poisonous weeds that can be toxic to farmland crops and animals.They facilitate plant growth, development, decomposition, and regrowth. They are also a source of food to animals, birds, lizards and spiders etc. Grasshoppers usually leave droppings that are rich in nutrients on the ground. These nutrients help to promote the soil and vegetation. 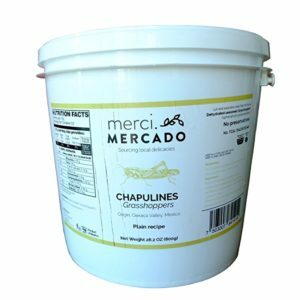 Moreover, dead grasshoppers decompose and enrich the soil with valuable nutrients, minerals and vitamins. 1] Acuña, A. M., Caso, L., Aliphat, M. M. and Vergara, C. H. (2011), Edible insects as part of the traditional food system of the Popoloca town of Los Reyes Metzontla, Mexico, Journal of Ethnobiology, 31(1): pp. 150–169. 2] Agea J. G., Biryomumaisho D., Buyinza, M. and Nabanoga G. N. (2008), Commercialization of Ruspolia nitidula (nsenene grasshoppers) in central Uganda. African Journal of Food, Agriculture, Nutrition and Development 8: pp.319–332. 3] Al-Dali, A. G. (2007), Influenced activities of the intestine acid and alkaline phosphatases by some neem limonoids in the grasshopper Euprepocnemis plorans (Orthoptera: Acrididae), Journal of Egypt. Acad. Soc. Environ. Develop., 8(3): pp. 57-65. Journal of Food, Agriculture, Nutrition and Development, 3(2): pp. 1–6. 5] Banjo, A. D., Lawal, O. A. and Songonuga, E. A. (2006), The nutritional value of fourteen species of edible insects in southwestern Nigeria. African Journal of Biotechnology, 5(3): pp. 298–301. 7] Brust M. L., Hoback W. W. and Wright R. J. (2009), Degree-day requirements for eight economically important grasshoppers (Orthoptera: Acrididae) in Nebraska using field data. Environmental Entomology 38: pp. 1521–1526. 8] Bozkus K. (2002). Phospholipid and Triacylglycerol Fatty Acid Compositions from Various Development Stages of Melanogryllus Desertus Pall. (Orthoptera: Gryllidae), Turkey Journal of Biology, 27, pp 73-78. 9] Chen X. M., Ying F. and Zhiyong C. (2009), Common edible insects and their utilization in China. Entomol. Res. 39: 299-303. 10] Costa-Neto E. M. (2005b), Entomotherapy, or the medicinal use of insects, Journal of Ethnobiology 25(1): pp. 93–114. 11] Das, M., Ganguly, A. and Haldar, P. (2010), Nutrient analysis of grasshopper manure for soil fertility enhancement, American-Eurasian Journal of Agric. & Environ. Sci. 7(6): pp. 671–675. 12] DeConconi, J. R. E. D. and Moreno, J. M. P. (1988), The utilization of insects in the empirical medicine of Ancient Mexicans, Journal of Ethnobiology 8(2), pp. 195-202. 13] DeConconi, J. R. E., Moreno, J. M. P., Mayaudon, C. M., Vadde, F. R., Perez, M. A. and Rodriguez, H. B. (1984), Protein content of some edible insects in Mexico, Journal of Ethnobiol. 4: pp. 61-72. 14] Gardiner T., Hill J., Chesmore D. (2005), Review of the methods frequently used to estimate the abundance of Orthoptera in grassland ecosystems. Journal of Insect Conservation 9: pp. 151–173. 15] Ghosh, S., Haldar, P. and Mandal, D. K. (2016), Evaluation of nutrient quality of a short horned grasshopper, Oxya hyla hyla Serville (Orthoptera: Acrididae) in search of new protein source, Journal of Entomology and Zoology Studies 2016; 4(1): 193-197. 16] Haldar P., Das A., Gupta R. K. (1999), A laboratory based study on farming of an Indian grasshopper Oxya fuscovittatav(Marschall) (Orthoptera: Acrididae), Journal of Orthoptera Research; 8: pp. 93-97. 17] Ifie I. and Emeruwa C. H. (2011), Nutritional and anti-nutritional characteristics of the larva of Oryctes monoceros. Agriculture Biology Journal of North America, 2: pp. 42-46. 18] Kinyuru, J. N., Kenji, G. M., Muhoho, S. N. and Ayieko, M. (2011), Nutritional potential of Longhorn grasshopper Ruspolia Differens) consumed in Siaya district, Kenya, Journal of Agriculture, Science and Technology, 57(3/4), pp 32- 42. 20] Mousummi, D. and Suman, K. M. (2013), Assessment of nutritional quality and anti- nutrient composition of two edible grasshoppers (Orthoptera acrididae)-a search for new food alternative. International Journal of Medicine and pharmaceutical sciences, 3(5): pp.31-48. 21] O’Neill, K. M., Olson, B. E., Rolston, M. G., Wallander, R., Larson, D. P. and Seibert, C. E. (2003), ‘Effects of livestock grazing on rangeland grasshopper (Orthoptera: Acrididae) abundance’, Agriculture, Ecosystems and Environment, no. 97, pp. 51-64. 22] Pixabay (2016), All images from pixabay 23] Ramos-Elorduy J. 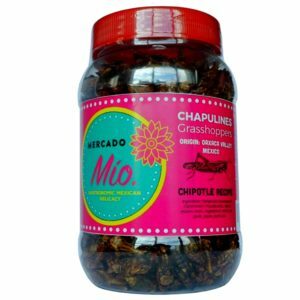 B., Moreno J. M. P. and Camacho V. H. M. (2012), Could grasshoppers be a nutritive meal? Food & Nutrition Science; 3:164-175. DOI: org/10.4236 /fns.2012.32025. 24] Jagadeesh Babu, C. S, Venkatachalapathy, C. M. and Anitha, C. N. (2008), Evaluation of locally available substrate for mass production of entomopathogenic fungi, Metarhizium anisopliae (Metch).Journal of biopesticides,1(2): pp. 146-147. 25] Solomon, M., Ladeji, O and Umoru, H (2008) Nutritional Evaluation Of The Giant Grasshopper ( Zonocerus variegatus) Protein And The Possible Effects Of Its High Dietary fibre On Amino Acids And Mineral Bioavailability. African Journal of Food Agric. Nut. and Development 8( 2) pp. 238-248. 27] Wang, D., Zhai, S., Zhang, C., Zhang, Q., Chen, H., (2007) Nutrition value of the Chinese grasshopper Acrida cinerea (Thunberg) for broilers. Animal Feed Science and Technology, 135, pp. 66-74. 28] Whipple S. D., Brust M. L., Hoback W. W. and Farnsworth-Hoback K. M. (2009), The grasshoppers Arphia Xanthoptera and Dichromorpha Viridis prefer introduced smooth brome over other grasses. Great Plains Research 19: pp.179–86. 29] Yadav R. S. and Singh J. (2011), Biodiversity of short- horned grasshopper (Acrididae: Orthoptera) at Varanasi, Uttar Pradesh. Environment and Ecology; 29(1A), pp. 347-350.